Among President Donald Trump’s many accomplishments during his first year in office, White House Counsel Donald F. McGahn II has proven to be an influential adviser in assisting the president in keeping his promises when it comes to the law and the courts. The president’s base is noticing, as are his critics. White House counsels are very important in any president’s inner circle. It is a top-line position that answers directly to the White House chief of staff, but that also typically involves walk-in privileges directly to the president, as the president’s top staff lawyer must offer candid advice on some of the most sensitive matters a commander-in-chief must deal with. McGahn has played a role even larger than some of his predecessors, due in part to the forward-leaning legal posture of many of President Trump’s moves, and due in another part to the massive number of life-tenured judgeships this president has the opportunity to fill. In other words: McGahn is doing his job, helping President Trump fulfill one of his most important campaign promises, and making sure that lawyers throughout the Executive Branch are committed to carrying out the president’s agenda. The Daily Beast meant the statement as an insult, framing McGahn in a narrative designed to go after the president. Instead, the paper inadvertently paid McGahn the highest of compliments. The article cites a couple of the only judicial nominations that did not move forward to final success, tried to hang those nominations on McGahn, and then pointed out that part of the opposition to those nominees came from a senator from the president’s own party. But the leftwing publication has it exactly backwards. Article II of the Constitution makes it clear that the president of the United States picks judges, not senators. The president initiates the process by making a nomination. The Senate responds by voting up or down on confirming that nomination. While presidents typically consult senators on judicial nominations, the Constitution does not require it. And this White House—like other modern White Houses—have done so on most judicial vacancies anyway. The president’s power to nominate judges, especially when it comes to making picks for the Supreme Court, is arguably a president’s single greatest power. The only power that rivals it is the president’s commander-in-chief power to initiate military action against another sovereign nation, leading the nation into war. Never before have judicial appointments played such a prominent role in a presidential campaign, followed by being a central part of a new presidency. As a candidate, Donald Trump promised to nominate conservative legal minds to the federal bench. McGahn is doing his part to ensure that President Trump is nominating judges in that mold, even when it irritates senators who might not share the president’s devotion to conservative judges, and who would like more of a voice in making those selections. President Trump’s successful appointment of Justice Neil Gorsuch to the Supreme Court is one of his greatest achievements over the past year, with Gorsuch chosen from a list of candidates that McGahn helped put together. 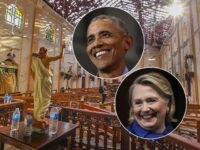 In December, President Trump made history for first-year presidents when the Senate confirmed his twelfth pick to the U.S. courts of appeals. McGahn played a central role in vetting every one of those nominees as well, and the president openly boasts that the bench he is creating will have a decades-long legacy outlasting his tenure in office. McGahn’s impact has not been limited to judges, however. The Trump administration currently boasts a more conservative lineup among its lawyers than any in modern history, drawn largely from the ranks of the Federalist Society for Law and Public Policy. The Federalist Society now has some 70,000 members, and is dedicated to promoting originalism: the legal philosophy that the Constitution must be interpreted according to the original public meaning of its words. Originalism is the cornerstone of conservative legal thought. McGahn joined the Federalist Society in the 1990s when it was only a fraction of its current size. Although legal giants like Judge Robert Bork and Justice Antonin Scalia were vocal proponents of originalism, and Justice Clarence Thomas has adhered to that philosophy almost without exception during his long tenure on the Supreme Court, that school of thought was considered so far from the norm in the liberal-dominated legal profession that only true believers were active in the Federalist Society at the time. These days it is popular to be called an originalist, and young Republican lawyers find it beneficial to their careers to be associated with the Federalist Society. But since his arrival in Washington more than 20 years ago, when such affiliations were not politically advantageous, McGahn has consistently shown that he is honestly committed to this constitutional conservative view of the law. 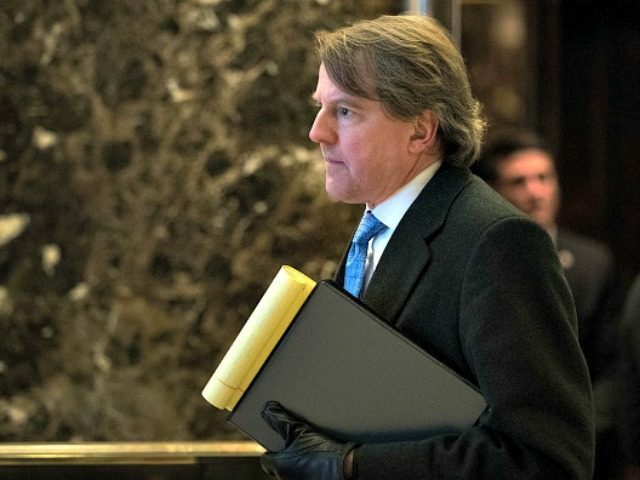 Once President-elect Trump announced that he was appointing McGahn as White House counsel, McGahn made it his task to be involved in the vetting of as many of the legal positions throughout the federal government as possible. As a result, the U.S. Department of Justice, as well as the general counsel offices in dozens of federal departments and agencies, are now led by lawyers energetically devoted to adhering to the plain text of federal statutes, and applying the original public meaning of constitutional provisions. This consistently principled legal philosophy is increasingly found in dozens of regulatory decisions coming out of the vast federal bureaucracy, as well as in numerous executive orders and presidential memoranda being issued from the White House. Legal philosophies have a cascading effect that grows over time. The impact of this conservative legal philosophy will become increasingly clear in 2018, especially as the steady drumbeat of confirming President Trump’s judicial nominees continues. It is axiomatic in Washington that “personnel is policy.” In appointing McGahn as White House counsel, President Trump got the lawyer he needed to deliver on his policy promises when it comes to judges and the law. And the president’s base voters are thrilled by what they are seeing.